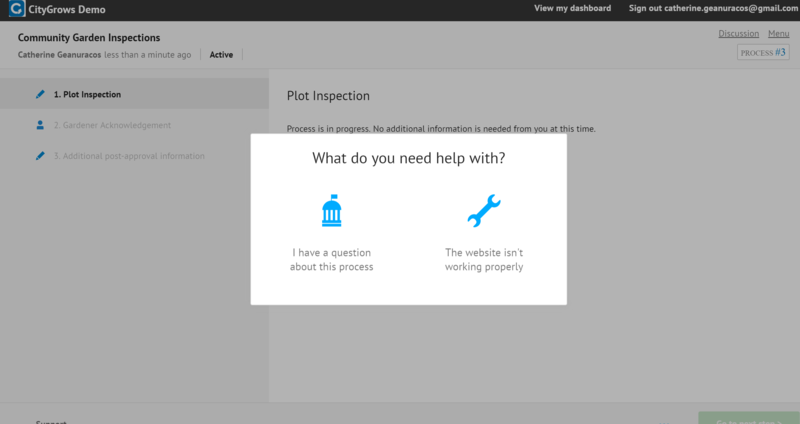 If they click "This website isn't working properly" they're directed to the CityGrows support team via our online chat. 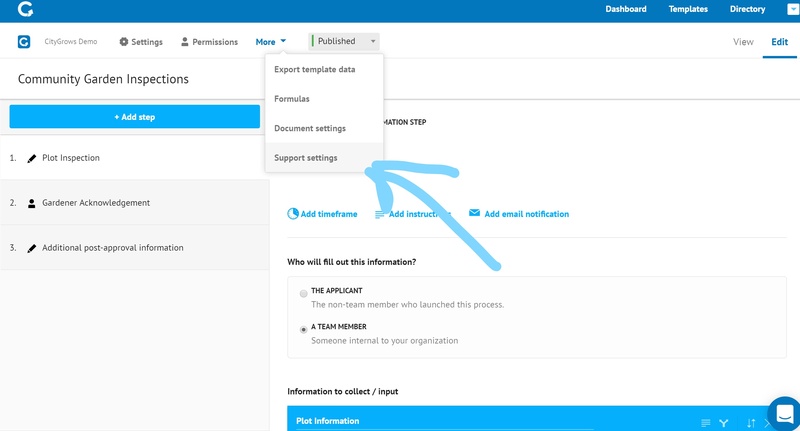 However if they click "I have a question about this process" we try and direct them to check the FAQ associated with the template they're on. So it's good to make sure that the most common questions you get are included in that FAQ (Frequently Asked Questions)! 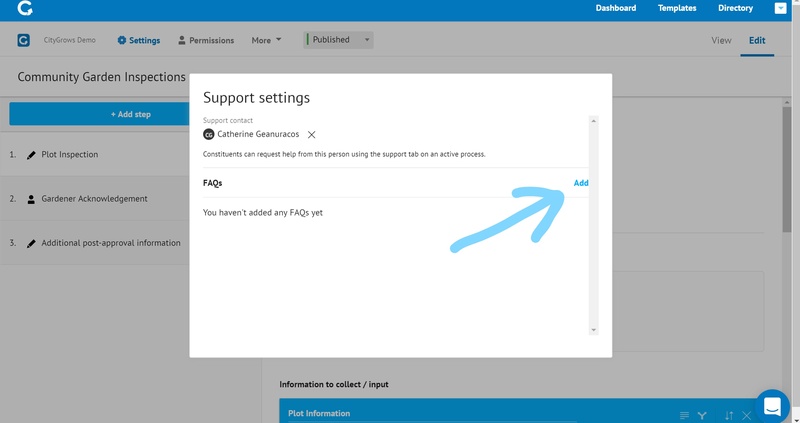 Here's how to add to the FAQ: From the template editor, click on "More" and then click on "Support Settings"
Once that's open you'll see the option to change the Support Contact (that's the person who will receive emails or notifications about support requests). Please note that users also often start "Discussions" with staff when they need help, Discussion notifications go to all Admins on a template. You can add as many FAQs and Answers as you like! 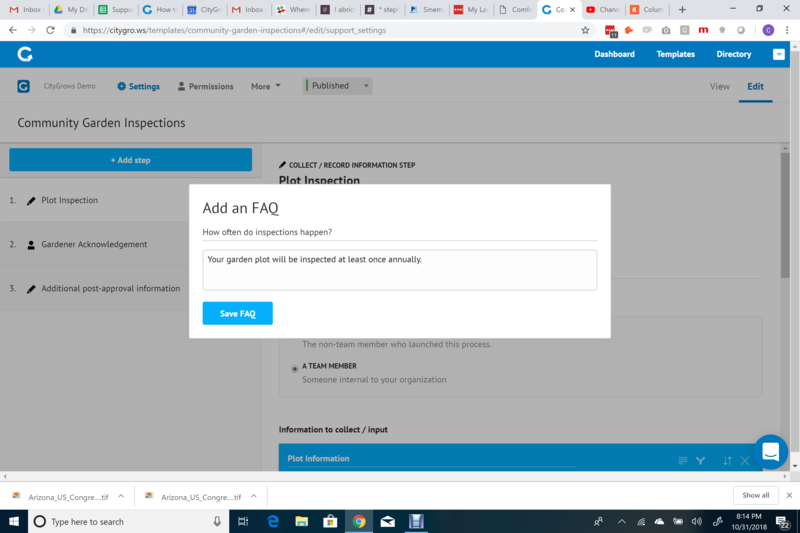 If you find that you're getting the same question multiple times, add the question and answer to your FAQ!